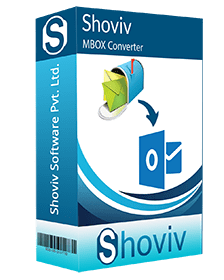 Shoviv MBOX to PST converter software has high–end capability to convert MBOX mailboxes to various file formats like Outlook PST, MSG, EML, along with enhanced features which can easily be exported MBOX to Live Exchange server and Office 365 server mailboxes. The software supports 20 email clients which support MBOX file format like Entourage, Thunderbird, Eudora, Seamonkey, Spicebird, Mulberry, etc. *Free Download allows to convert & save 25 items/folder from MBOX Converter. The software comes with amazing features which export multiple MBOX files along with attachments, properties, and attributes without any changes. The MBOX to PST converter tool offers quick and safe transfer of MBOX to PST, Live Exchange and Office 365. The software works flawlessly with various emails client that supports MBOX files format, as the tool are designed in such a way that they effortless supports emails clients like Pocomail, Operamail, Entourage, Eudora, Thunderbird, WebMail, etc. for MBOX file support. 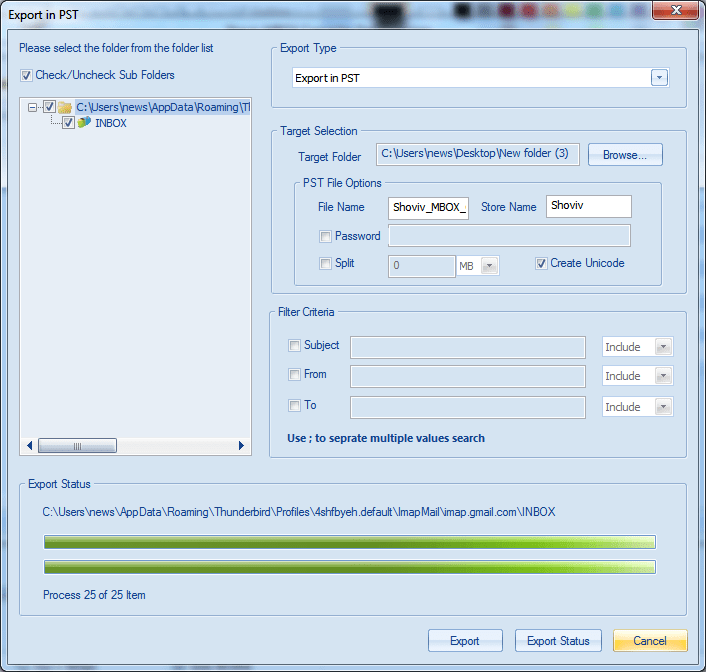 The software not only convert MBOX to PST files but also export MBOX files into various file formats like MSG and EML. The software comes with enhance features which allow the user migrate MBOX to Office 365 as well as into Live Exchange Server mailboxes. 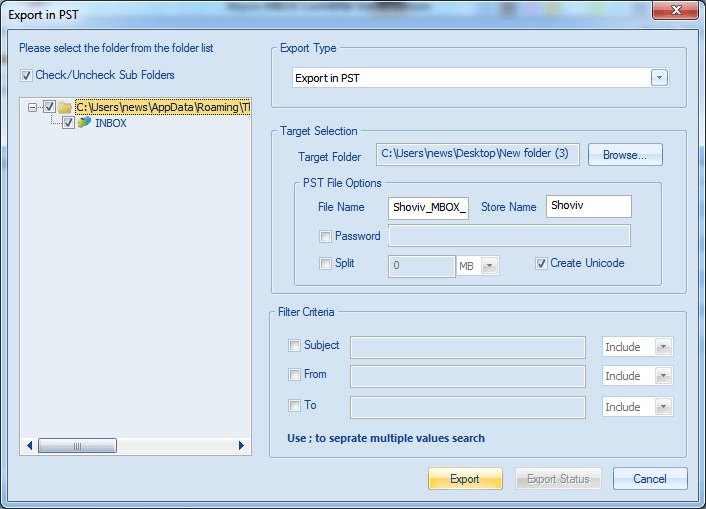 With the export option, the users are given with the option to export MBOX files according to their desired choice. The export option features allow the users to export MBOX files in option like PST, EML, MSG, Exchange Server, Office365 and Outlook Profile as per desired. If you want to be sure that the data transfer from MBOX files to server or file formats is going smooth and accurate then, you can check that before shifting MBOX as preview option is added into the MBOX Converter Software. For the users to export emails from Apple Mac Mail to Outlook PST format, the process of Apple Mac mail to Outlook PST conversion is possible with the flawless features of this software solution that also assists the user to export Apple Mac emails into Office 365 and Live Server mailboxes. 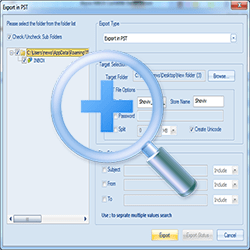 When the users convert MBOX to PST file format, the software does not restricted for any particular type of Outlook PST file. 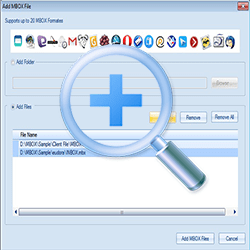 The MBOX to PST converter allows the migration of MBOX files into Unicode as well as ANSI PST files without losing the integrity of the data. This MBOX to PST Converter software comes with a high-end capability which works in the various version of Windows software so that the users can work with Windows OS in both old and new version effective and efficiency in a similar manner. The Demo version is cost free which is easy to operate once installed. The demo version allows you to convert MBOX to PST and export MBOX to live exchange and office 365 with first 25 items per folder limit so that the accuracy and efficiency of the product can be unknown to you. 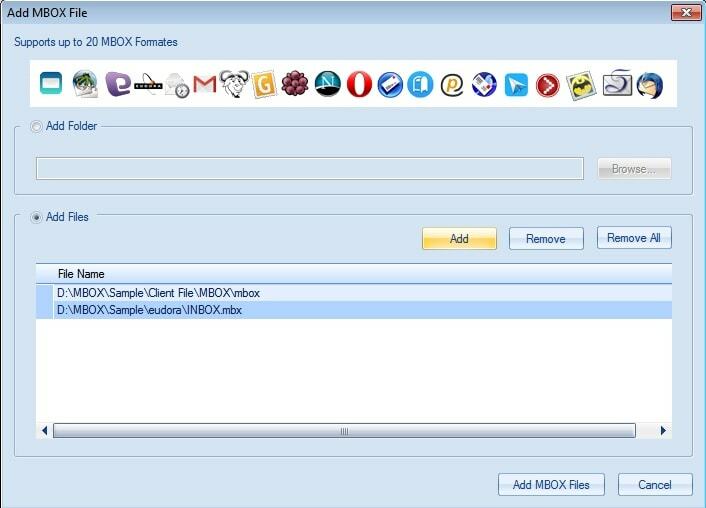 How many emails and attachments can be transferred at once with MBox converter tool? 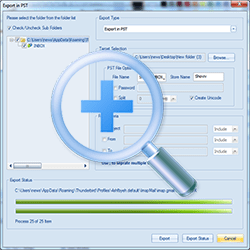 There are no restrictions in transferring emails and attachment using this Mbox converter tool. 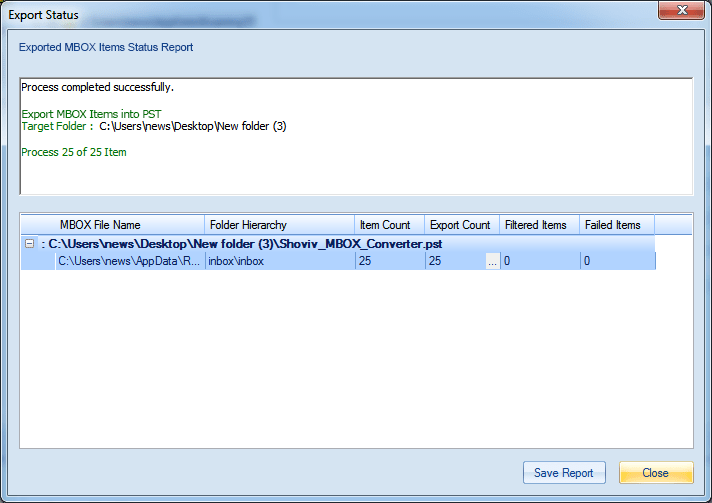 The Shoviv Mbox to PST converter transfer emails with relevant properties to the selected file format allowed by the tool. 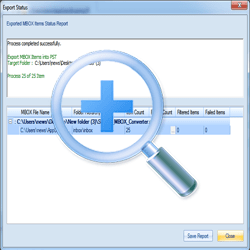 Which type of file will be created after conversion from MBOX to PST conversion? With the tool, you will get the option to save the MBOX to Outlook File into Unicode or ANSI as per your choice. However, the PST that is not chosen to be set ANSI or Unicode will form as Unicode that will be accessible in any Outlook application without any hassle (if the Outlook is not an old version). Can I shift MBOX created by Eudora email client to PST? Yeah, With the Shoviv MBOX Converter as it is a proficient tool which supports various email clients which proliferates MBOX files. Eudora is one of such applications involving Thunderbird, SeaMonkey, Mulberry etc. How many modes or version of this software are available online? Both Free version and licensed versions are available online. Demo tool is to just for testing functionalities and to acquire competence. The licensed mode works for converting MBOX and saving into different file formats and servers without limitations and restrictions.